Every parish should strive to envision its future existence in providing and serving the needs of its parishioners. 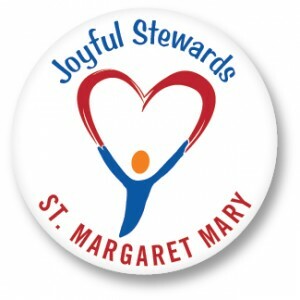 This is also our goal St. Margaret Mary. In general, it should be the goal of every parish, within its vision and mission, to assure that in the hearts, minds and eyes of all parishioners their parish is and/or seeks to truly become a place of hospitality, prayer, formation and service, where a stewardship way-of-life culture is woven into the very fabric of the parish. The parish community, in a variety of ways, can and does serve as an extension of the domestic church (the family) in providing the desired and necessary spiritual, educational and social needs that otherwise may not be available. This hospitality can, often times, provide the substance and glue necessary to keep individuals and families tied closely to their Catholic faith. Every parish should seek to be sure that all parishioners, within the broad demographics of the parish, sense and recognize that they are invited, encouraged and provided the opportunity to be involved, thus feeling welcomed, served and appreciated. In recognition that the textbook of stewardship is the Bible and the school of stewardship is the Holy Mass, we are therefore provided with the Word and the sacramental grace that serves as the source and summit of our Catholic Faith. Discerning the Word and participating in the sacraments are all essential in our vocational call to holiness, that of responding to our Baptismal call to discipleship. The parish stewardship council should seek to instill the power and importance of prayer in the hearts and minds of all parishioners. Thus, it is important to provide and facilitate a variety of personal and communal prayer opportunities and related education within the parish. It is also through prayer and living the Mass that we learn to recognize, receive, accept and share God’s grace and giftedness in love of God and neighbor. “As the steward grows in the life of prayer, God reveals himself more intimately in this personal relationship. The steward also sees that the gifts received from God are to be shared and not buried. The steward remains deeply rooted in humility, recognizing that the gifts one has been given come not from self, but from God. Those gifts are to be shared with others. Ongoing prayer, education and communication are necessary to foster and strengthen the stewardship conversion process. This formation process should importantly seek to weave the language and practice of stewardship into the very fabric of the parish. The Pillar of Service brings into practice the other 3 pillars. A stewardship parish seeks to be that common faith community within which parishioners are invited and have the opportunity to serve and be served, giving, receiving and sharing their God-given giftedness. It is through the pillar of service at the parish or broader community level that a Christian steward is provided the opportunity to respond, in action, to his/her call to discipleship individually and/or collectively. It is therefore the role of the parish and its stewardship council to be attentive to the needs of parishioners and in turn to provide the opportunity for its parishioners to respond in gratitude and action in recognition of the gifts they have received. United in our Catholic faith, we are invited and encouraged to recognize, receive, share and return our God-given grace and giftedness in love of God and neighbor. It is our desired goal within our parish to instill a sense of hospitality, prayer, formation and service by first fulfilling the mission of this parish community, and in unity to extend generosity, gratitude and service to the diocese and to the wider needs of the universal Church. Recognize, strengthen and support the role of the family in the life of the Church. Stimulate and broaden local parish life, bringing about the formation and unity among parishioners as they share generously, sacrificially and proportionately their varied grace and God-given giftedness of time, talent and treasure. Provide the invitation, encouragement and opportunity for all to experience, respond to and fulfill their Baptismal call to discipleship. Identify, plan and provide for the needs of the parish community by establishing mission statements, related goals, objectives and action plans along with the pastoral and operational structure to facilitate, support and maintain the process. Recognize the parish as the primary and ordinary recipient of the sharing of our individual and family God-given giftedness from which the parish would support its mission while also proportionately sharing and providing for the ordinary and special needs of the diocese and the wider universal Church. TOGETHER – We gather. We learn. We serve. As with any council or committee, the membership consists of a variety of personalities, cultures, talents and opinions. In addition, one will typically find different levels of spirituality, education, and experience. With this potential and possible variety of traits and characteristics, it is imperative that the members of the council spend prayerful and quality time seeking to bond spiritually and socially to become “family” in the sense of knowing and understanding each other, including spouses who may not be serving on the council. This manner of bonding will serve to provide a meaningful working relationship, understanding and appreciation of other council members and their sense of commitment to the parish. Bonding in this manner will also serve to avoid the potential for meetings to be nothing more than a meeting of strangers with no common vision or mission. Is Stewardship important to you? It is to your Parish and we are looking for men and women seeking to live by the 4 pillars of Parish Stewardship. Join us! Contact Deacon Jim (847-532-5653) and/or Connie McDonough (847-502-0775) or via email.